Budget101 is growing rapidly and we’re looking for amazing bloggers like you to help! Budget101 is expanding! For nearly twenty years we’ve been helping families find new ways to save money by delivering the BEST content to our readers and that means bringing on creative contributors like you! We know that there are so many of you with inspirational ideas and resourcefulness and we want to bring that to our growing audience. If you think you’d make a great addition to the Budget101 team, we’d love to hear from you! If chosen to be a contributor on the Budget101 team you’ll be expected to post once a month unless otherwise noted. As a contributor for Budget101, you’ll be responsible for posting your content using your own login for our site. We want to showcase your great personality and creativity through your expressive writing and vivid photography! In order to show off your ideas fully, being able to take great photos is a must! Although our platform is very simple to log in to and requires no previous experience to use, Blogging experience is required. It is imperative that each valuable member of our team is responsible and fully capable of meeting their deadlines. 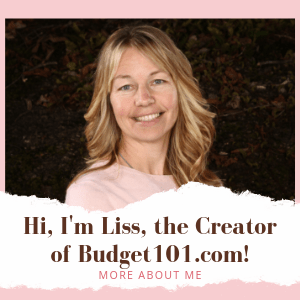 As a well-established site of nearly twenty years, Budget101 has millions of deeply rooted readers and avid followers on social media that you’ll be able to get in front of. Following your post going live, you can expect to see a spike in both your social media followers, as well as your traffic. In addition to expanding your social media reach, we will also be able to work together on various promotions to help increase your organic reach and grow your blog. Currently, being a member of the Budget101 team is a non-paid position. Once we receive your application we will contact you if we’d like you to join the team. Please note, It may take up to 8-10 business days for us to get back to you.